Marmalade Squares are the perfect candy for the marmalade lover in your life. These tangy squares are bursting with vibrant orange flavor, chewy pieces of orange peel, and crunchy pecans. The final product is somewhat sticky (similar to many caramels), so it’s best to either wrap the pieces in waxed paper or dip them in chocolate to keep them from sticking to everything. 2. Place the marmalade, applesauce, sugar, lemon juice, and salt in a medium saucepan over medium-high heat and stir until the sugar dissolves. 3. Insert a candy thermometer and continue to cook, stirring frequently to prevent scorching, until the thermometer reads 250 degrees F.
4. Once at the proper temperature, remove the pan from the heat and stir in the chopped pecans and orange extract. Pour the candy into the prepared pan and allow it to cool completely and set at room temperature, for 2 hours or overnight. If desired, you can press whole pecans into the top of the candy while still warm for extra flavor and crunch. 5. Once set, lift the marmalade candy from the pan using the foil as handles, and turn it face-down on a cutting surface. Carefully peel the foil off, and cut the candy into small squares. Wrap them individually in waxed paper and serve at room temperature. 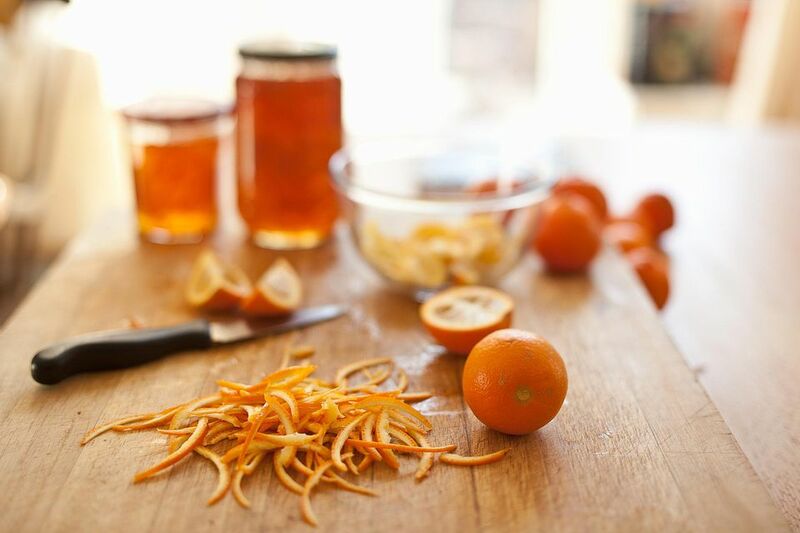 Marmalade Squares can be kept in an airtight container in the refrigerator for up to two weeks.